Little Jimmy learned what it was on late Christmas Eve as he sat with grandpa watching the tree lights twinkling. “Well, James I see you have your grandson with you,” Santa said. “Promise, Santa, I won’t tell,” Jimmy said. The next morning everyone gathered around the Christmas tree–grandpa, Jimmy, his parents and his two aunts. Jimmy opened each present and hugged and kissed his parents and aunts. “Introduce you to Santa Claus?” one of his aunts said with shrieking laughter. Jimmy looked at his grandpa with terror. He had let the secret out. Grandpa nodded, smiled and told his family that he had visited with Santa for the past 80 years. Jimmy’s father scolded him for telling such silly tales to confuse the boy. The two aunts, almost simultaneously, accused grandpa of dementia, to which Jimmy’s father announced that if that were the case then grandpa had to be committed and all his funds taken into a guardianship handled by his three children. Tears filled Jimmy’s eyes as he sat in the judge’s chambers a month later with grandpa, his parents and two aunts. The judge sat at his desk and peered over his glasses at the stack of paperwork in front of him. “I’m so sorry, Grandpa,” he whispered. Just then there was a cold blast of air entered the chamber as Santa Claus appeared to Jimmy and grandpa. Everyone else was frozen. “I wished for grandpa to be happy,” Jimmy said with a pout. “But you were the one who told,” Santa reminded him. “Is it too late for me to have a wish?” grandpa asked. “No, I guess not,” Santa replied. With another blast of air, Santa was gone, and the judge looked up from his papers. “Oh, I think that can be arranged,” the judge said. 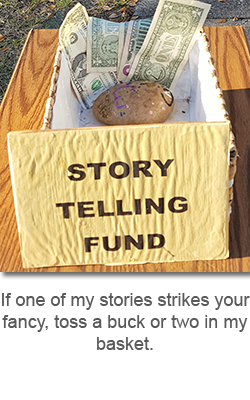 This entry was posted in Stories and tagged family, love, short story on December 14, 2017 by jerrycowling.